First, there was the faux hawk and now there’s faux locs. This newly developed hair style has been seen on several celebrities and has even created controversy on the red carpet. So what are faux locs exactly? The most common technical definition is that faux locs or dreadlocks extensions is the alternative method for someone who does not want to lock their natural hair. 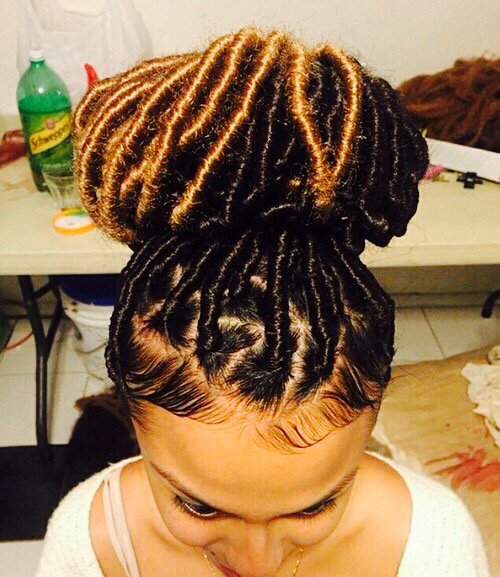 It involves braiding extensions like a regular individual braid, then wrapping the Marley or dread extensions around the braid, and finally burning the ends. This look is super natural and can be as short as beginners locs or be as long as locs that have grown for years. They can be any color, which is great for those who don’t want use chemical coloring on their own hair. They are easy to both style and manage! Here are some other interesting tidbits about faux locs that you may want to know. 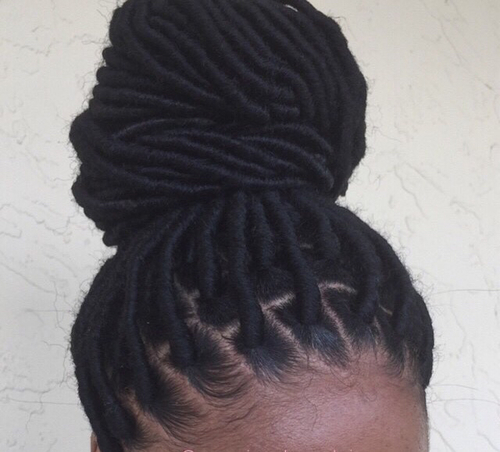 Faux locs come in a semi-permanent form and lasts up to three months. It is often called a protective style since it doesn’t require you to alter the chemical or physical state of your natural hair. Since you have human hair, synthetic and yarn fiber as options, be sure your stylist evaluates the strength of your natural hair. The longer the loc, the heavier the load. Regardless of fiber, be careful when choosing the diameter and length of your faux locs. The term protective style doesn’t mean neglected style. Hair care and maintenance is a must for faux locs! Speak with an Indo Hair stylist about what texture to use for faux lots this summer and don’t forget to visit indohair.com!